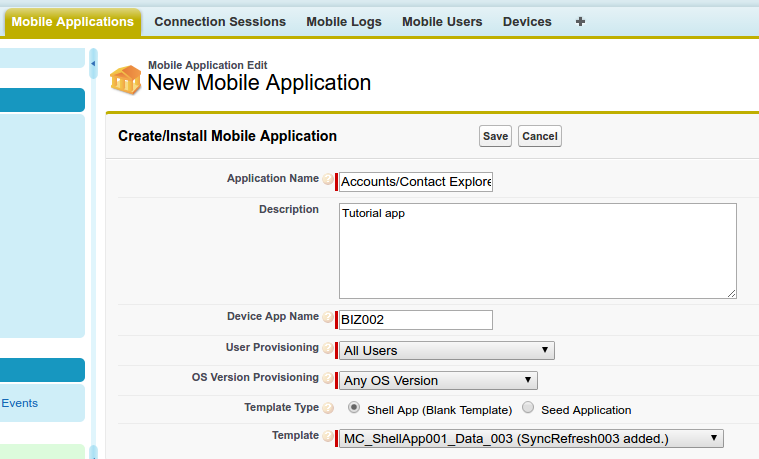 In this module we will cover the configuration of a new MobileCaddy Mobile Application on SFDC. Click the Create/Install New Mobile Application button. Device App Name shall be BIZ002. Click Save. This will create all the required records. Once created you will be taken to the Mobile Application page. Once here you need to click the Create Provisioning Record button. This creates a record for your user to be associated with the new application. We need this record to be able to access the platform data when our client code requests information from SFDC.